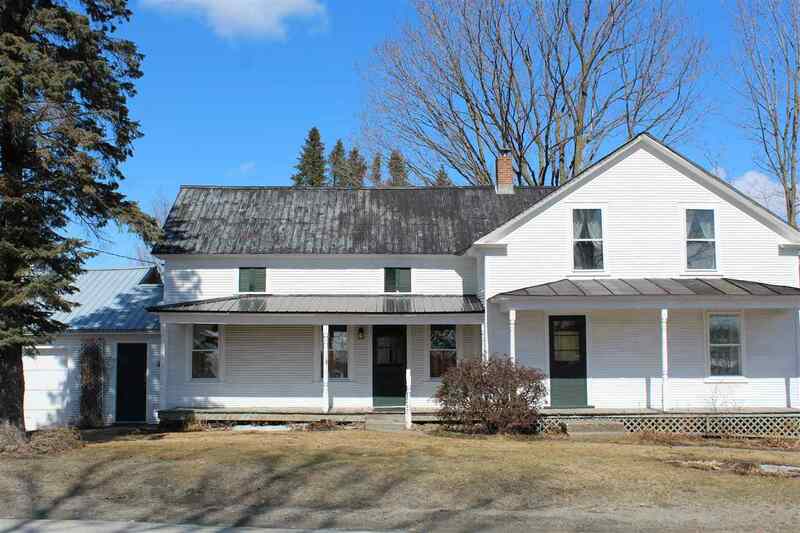 This charming farmhouse nestled in the heart of Fairfield Center offers original charm. Large country kitchen allows access through the laundry room from the breezeway. Formal dining room and living area with 9' ceilings, custom built-ins and oversized windows. A full bath and two bedrooms complete the 1st floor. Although in need of rehabilitation, the entire second floor includes up to five additional rooms and open landing space. With the possibility to expose the beautiful original beams, this renovation would be stunning! Attached garage, quaint covered porch and mature landscaping. This fixer upper would make an amazing home!